I have had a period with to much work and I also been at conferences in Helsinki and Bruges. Last week I devoted myself to recovery. The spare time was occupied with seeping and reading. 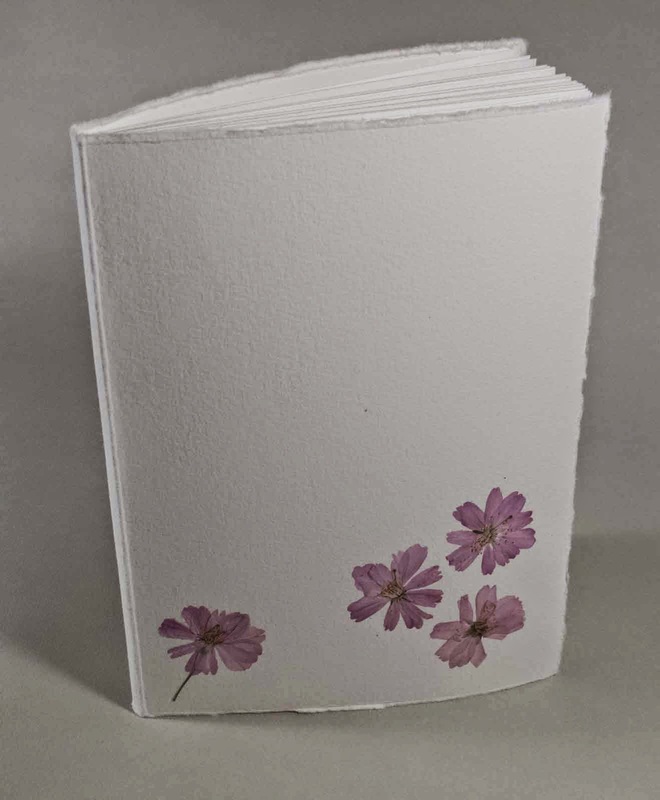 Today I had a wonderful afternoon free from work, I used the time to be in the studio and I could complete a small sketchbook that is a celebration of spring. The soft cover is made of thick graphic paper. I have picked cherry flowers which I have fixed on the book cover. 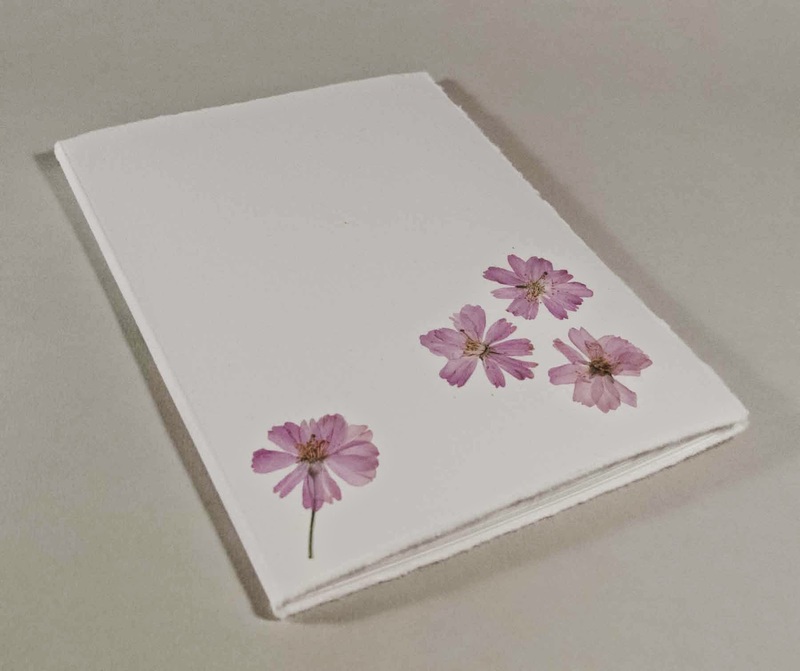 4 flowers on the front cover and one at the back cover.